The state has passed a law banning text messaging while behind the wheel in an effort to reduce the risk of serious or fatal Massachusetts car accidents. But it is just part of a national patchwork of distracted driving laws motorists will have to navigate while on summer vacation. As our Boston Car Accident Lawyer Blog reported earlier this month, state leaders have reached agreement on a new law that will ban texting while driving. After six-years of debate, the law will also ban drivers under the age of 18 from using a cell phone while driving and will require drivers over the age of 75 to have their vision tested in person when renewing their driver’s license. 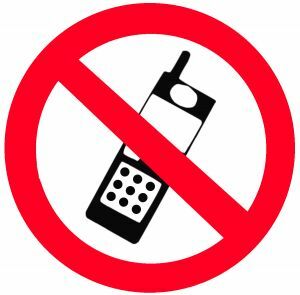 The Governor’s Highway Safety Association reports that eight states prohibit all drivers from using hand-held cell phones — California, Connecticut, Delaware, Maryland, New Jersey, New York, Oregon and Washington. Thirty states ban text messaging while driving. And a number of cities, including Chicago, ban the use of hand-held cell phones in a state where they are otherwise legal for use by drivers outside the city limits. As MSNBC reported motorists are responsible for knowing and obeying the laws, wherever they are traveling. What’s a traveling motorist to do this summer? Fines range from $20 to $150 and can put a real ding in your vacation budget. In some states, a motorist may only be cited if they are texting or using a phone while committing a separate traffic infraction. In other states, merely using a phone is enough to be pulled over and cited. While AAA discourages the use of cell phones while driving, the organization offers a list of the laws in each state on its website. “Drivers are still responsible for knowing the cell phone laws that apply to each state,” said AAA spokesperson Nancy White. Our Boston injury lawyers urge you to leave the map searching, texting, talking and GPS devices and other distractions to a passenger. The best way to ensure safe travel this summer is for the driver to do nothing but concentrate on the road. The National Highway Traffic Safety Administration reports that more than 6,000 motorists are killed each year in distracted driving accidents, primarily as a result of using cell phones while driving. Another 600,000 are injured. If you or a loved one is seriously injured or killed in a traffic accident in Massachusetts, contact the Law Offices of Jeffrey S. Glassman for a free and confidential appointment to discuss your rights. Call 877-617-5333.